Oldham pressured by another 1108 adult migrants in the first six months of 2016 and had 684 asylum seekers resident in June 2016. Latest ONS statistics released today show record immigration numbers from Romania and Bulgaria with 69,000 arriving in the UK in the year to June. 631,000 EU nationals registered for national insurance numbers in the UK in the year to June 2016. 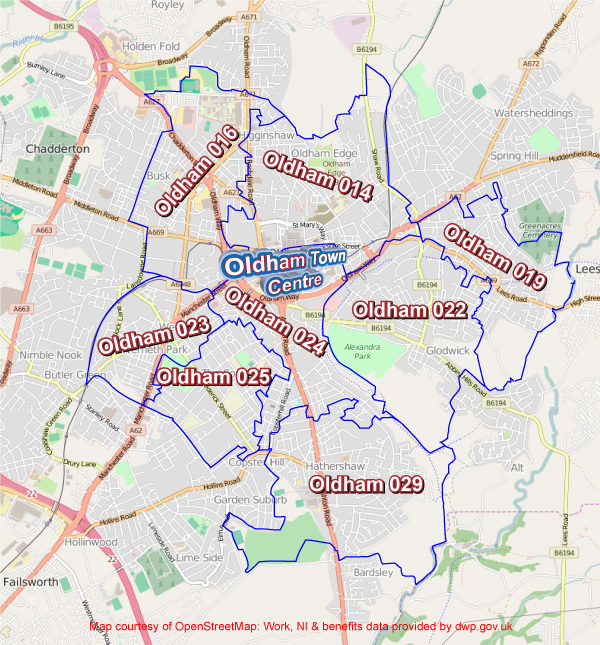 Remembering that Oldham is already the most deprived Town in England 1108 new national insurance numbers have been issued issued to adult overseas nationals resident in the Oldham area in the first six months of 2016. 37.5% of all NINo registrations to foreign nationals in Oldham in 2016 are to Romanian nationals. 68.5% of the 1108 in Oldham are EU nationals, 22.7% are from Asia, 7.8% from African nations and 1% from the rest of the world. To these Oldham numbers we have to add children and other dependents such as elderly relatives and those who chose not to register plus 684 asylum seekers currently resident in Oldham. Remember folks your local politicians say immigration numbers have absolutely no effect on housing, the NHS, tax credit and benefit costs, community cohesion, crime and school availability. If politicians are to be believed regarding migrant financial contributions to UK GDP then we must ask why Romanian adults being the prominent group of migrants in 2016 in the main made their homes in the most deprived MSOA’s that make up Oldham Town Centre? 97 Romanian adults moved into the 024 MSOA, 61 in 022, 49 in 019, 39 in 029, 31 in 025, 22 in 016, 21 in 030 (Limeside) and 16 in 014 these are the areas that received the most Romanian migrants. For all migrants in 2016, not including asylum seekers, numbers work out 166 in 024, 156 in 022, 101 in 019, 97 in 016, 83 in 023, 75 in 025, 69 in 029, 63 in 014. These eight MSOA areas in the picture above also contain over forty per cent of all housing benefit claims in Oldham.